And now for something completely different, again: My favorite “Gatsby”, Part I – “Her voice is full of money”. I am both thrilled, and very, very skeptical about Spider-Man’s and Leo D’s soon-to-be-released take on “The Great Gatsby“, by F. Scott Fitzgerald. 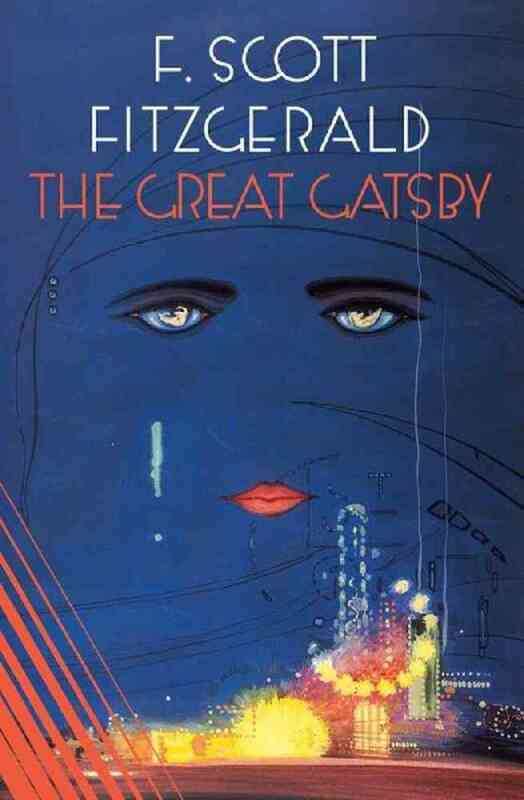 Thrilled, because The Great Gatsby is, indeed, in my eyes, a very, very fine piece of literature. And skeptical, well, because Hollywood has this proven tendency to ruin my favorite books. And I am not sure if I want to see Baz Luhrman go Moulin Rouge on this one. In any case, though, the film’s impending release over here in Germany gives me a splendid opportunity to present you some of my favorite scenes from the novel, and, maybe, later, some of my favorite texts by Fitzgerald. Her voice is full of money. “Holding down the receiver,” said Daisy cynically. Tom flung open the door, blocked out its space for a moment with his thick body, and hurried into the room. “Make us a cold drink,” cried Daisy. As he left the room again she got up and went over to Gatsby and pulled his face down kissing him on the mouth. “You know I love you,” she murmured. “You forget there’s a lady present,” said Jordan. “I don’t care!” cried Daisy and began to clog on the brick fireplace. Then she remembered the heat and sat down guiltily on the couch just as a freshly laundered nurse leading a little girl came into the room. The child, relinquished by the nurse, rushed across the room and rooted shyly into her mother’s dress. Gatsby and I in turn leaned down and took the small reluctant hand. Afterward he kept looking at the child with surprise. I don’t think he had ever really believed in its existence before. “I got dressed before luncheon,” said the child, turning eagerly to Daisy. Her face bent into the single wrinkle of the small white neck. Daisy sat back upon the couch. The nurse took a step forward and held out her hand. With a reluctant backward glance the well-disciplined child held to her nurse’s hand and was pulled out the door, just as Tom came back, preceding four gin rickeys that clicked full of ice. Gatsby took up his drink. “They certainly look cool,” he said, with visible tension. We drank in long greedy swallows. “I read somewhere that the sun’s getting hotter every year,” said Tom genially. “It seems that pretty soon the earth’s going to fall into the sun–or wait a minute–it’s just the opposite–the sun’s getting colder every year. Our eyes lifted over the rosebeds and the hot lawn and the weedy refuse of the dog days along shore. Slowly the white wings of the boat moved against the blue cool limit of the sky. Ahead lay the scalloped ocean and the abounding blessed isles. We had luncheon in the dining-room, darkened, too, against the heat, and drank down nervous gayety with the cold ale. Her voice struggled on through the heat, beating against it, moulding its senselessness into forms. Their eyes met, and they stared together at each other, alone in space. With an effort she glanced down at the table. “You always look so cool,” she repeated. She had told him that she loved him, and Tom Buchanan saw. He was astounded. His mouth opened a little and he looked at Gatsby and then back at Daisy as if he had just recognized her as some one he knew a long time ago. He got up, his eyes still flashing between Gatsby and his wife. No one moved. His hand, trembling with his effort at self control, bore to his lips the last of his glass of ale. Daisy’s voice got us to our feet and out on to the blazing gravel drive. They went upstairs to get ready while we three men stood there shuffling the hot pebbles with our feet. A silver curve of the moon hovered already in the western sky. Gatsby started to speak, changed his mind, but not before Tom wheeled and faced him expectantly. “Have you got your stables here?” asked Gatsby with an effort. “Shall we take anything to drink?” called Daisy from an upper window. “I’ll get some whiskey,” answered Tom. He went inside. F. Scott Fitzgerald, The Great Gatsby. Chapter 7. Retrieved from Project Gutenberg Australia.